“The time is now,” says the Rev. Wlodzimierz Olkowicz of Sts. Cyril and Methodius PNC Church in St. Louis. His dream of unifying the fragmented Polish-American com­munity here is suddenly coming to life. At his call, thirty dedicated Polish-Americans took the first step by meeting August 3, 1976 and forming a new Polish-American Cultural Soci­ety for Metropolitan St. Louis. They came from all walks of life – hospital aide, teacher, security guard, accountant, homemaker, re­searcher, among others. All had one goal in mind – to create a means of preserving, disseminating and enjoy­ing the folk music, traditional dances, language, drama, literature and history of Poles in Poland and America. The newborn Society’s first cry was an appeal for all St. Louis Polonia and other sympathetic St. Louisians to join its movement for the enrichment of our American culture. The Polish-American Cultural Society wants to reach young and uninvolved Polish-Americans, and to reinforce the cultural contributions of the few surviving Polish in­stitutions in St. Louis. These include such groups as; Polish Falcons Nest No. 45, organized in 1905; Polish Na­tional Alliance Council No. 30; Polish National Union of America Branch No. 42; Polish Roman Catholic Union of America St. Stanislaus Lodge No. 1004; Sts. Cyril and Methodius PNC Church, established in 1907 (now planning to build a new church building); and the St. Stanislaus Kostka Roman Catholic Church, designated a city landmark just this year, having been founded in 1880 and serving as the first and now the last remaining one of four Roman Catholic Polish parishes in the city. On the Illinois side of the Missis­sippi River, there are several more Polish institutions, among them, in Madison, IL, Sacred Heart PNC Church, the associated Polish Na­tional Union Branch No. 149, the Polish National Hall, operated by St. Stanislaus Lodge No. 1004 of the Polish Roman Catholic Union, and in Belleville, the Polish National Al­liance Lodge No. 1174. The Cultural Society members know that they must work hard, be­cause the Polish-American commun­ity is not very large. The 1970 United States Census of Population re­ported that in the city and six-county St. Louis metropolitan area only 13,000 persons had one or both parents born in Poland or were them­selves born there and there were only 12,000 in whose homes Polish was spoken when they were chil­dren. These, together with an un­known number of third and fourth gen­eration Polish-Americans, are virtu­ally all dispersed now throughout the urban area. In St. Louis, there are no longer any Polish neighborhoods where people can feel an identity by living close to each other. Then too, St. Louis Polonia lost an important focal point when the one Polish newspaper, Przewodnik Polski, closed in l969 on the death of its publisher-editor Helen Moczydlowska Muenz. There was a need to organize the Polish-American community. Many Polish-Americans saw that, and yet little was done until Fr. Olkowicz helped them take the first step. He has been here only a short time – since last March – but that has been long enough for him to see that the fate of the whole Polish-American community of the Polish-American identity in St. Louis will determine what happens to his parish. Its fu­ture, he points out, is what deeply concerns him at this time and he wants to do all he can to insure its survival. The Polish-American Cultural Society took a second step when it elected permanent officers on Sep­tember 21. Chester Niemczyk, for­merly of Clifton, NJ, became the first president. Other elected officers in­clude: Anthony Kaminski, vice-president; Alice Kaminska, secret­ary; and Henry Marganski, treas­urer. Selected as Division directors are: Arts – Jan Walczak, who used to di­rect folkloric activities in Poland; Education – Dr. Edmond Phillips, a social researcher; Public Relations -Anthony Geppert, long-time director of the area’s only Polish radio prog­ram , now broadcast on WMRY, Belleville, IL; Travel – Andrzej Filimowicz, also serving as the group’s Sergeant-at-Arms, who represents the Chicago Polish-American Travel Bureau and re­cently opened the only Polish re­staurant in St. Louis; Music – Gertrude Kowal, director of the Society’s new chorus, as well as or­ganist and director of the Sts. Cyril and Methodius choir; Sports – Kevin Craig, former Khoury League soccer player and coach; and Fellowship – Fr. 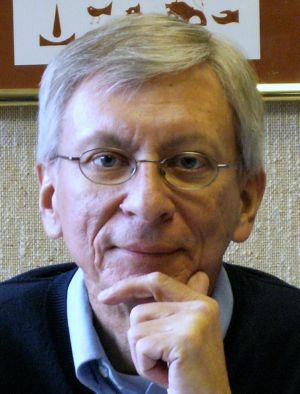 Olkowicz, also serving as the Society’s chaplain. Fr. Olkowicz, formerly a priest in Poland, came to the United States in August 1975. He received further training at St. Barbara’s Parish in Houtzdale, PA., under the direction of Rev. Thaddeus Peplewski a faculty member of the PNCC seminary in Scranton. On October 3, the Polish-American Cultural Society took its third beginning step by holding a fund-raising picnic at Chambers Park of Sts. Cyril and Methodius Parish, which co-sponsored the event. The picnic was enlivened by games, prizes and performances by the Society’s chorus and the St. Stanis­laus Dancers from Madison, IL. At the picnic. Susan Marganski-Craig was chosen Polish-American queen for 1976-77. The festivities climaxed by dancing to the music of a polka band featuring Stefan Kulesza and Peter Kalinski of Madison. Only eleven days after the picnic –and on very short notice – the Society was called upon to organize a St. Louis welcome for the crew of the homeward bound Leonid Teliga, a 57-foot Polish yacht that had sailed across the Atlantic Ocean in Opera­tion Sail 1976 to take part in the July 4th parade of “tall ships” on the Hudson River in New York. For three days the Society led several St Louis Polish organizations in enter­taining Captain Ryszard Ksiazynski. Master and Captain Adam Tasser, Leader, who were members of the original crew, their wives, two other Polish seamen, and a Canadian voy­ager and American naval veteran who had come to the aid of the 10-foot draft boat in finding a deep enough channel down the unusually shallow Illinois and Mississippi Riv­ers. When, on October 17, the crew of the Polish sailing training yawl re­sumed their homeward journey (by way Of New Orleans, Florida, South America, and Africa), the fifty mem­bers of the growing Polish-American Cultural Society could all feel they had taken another forward step, and the Society had begun its own “journey of a thousand miles”.